Dimensions: 114x69x98mm. Battery capacity Pb equivalent 10Ah. Current CCA(-18°) 200A, current CA(23°) 380A. Ultra lightweight battery based on secure technology lithion ferrous-phosphate. High performance even at low temperatures, durability and competitive prices make the YLP series the best-in-class battery today. This ultra compact series has been designed and developed in Italy specifically for applications requiring high starting currents. Good perfermance at high and low temperatures (tested at -18°). It does not require any maintenance: no liquid inside it, no lead and other harmful materials according to ROHS. Mounting in any position. Weight reduction of at least 50% compared to traditional batteries. Only 0,74kg! Recharge fast: less than 2 minutes. Maximum charge current 5A. Reduced self-discharged: <0.05% per day (isolated battery). Life duration 3-5 times higher than traditional Pb batteries. Lifecycle: over 3,000 recharge cycles and 12,000 startups. WARNING! Lithium batteries require specific charger or charger with DC charger. 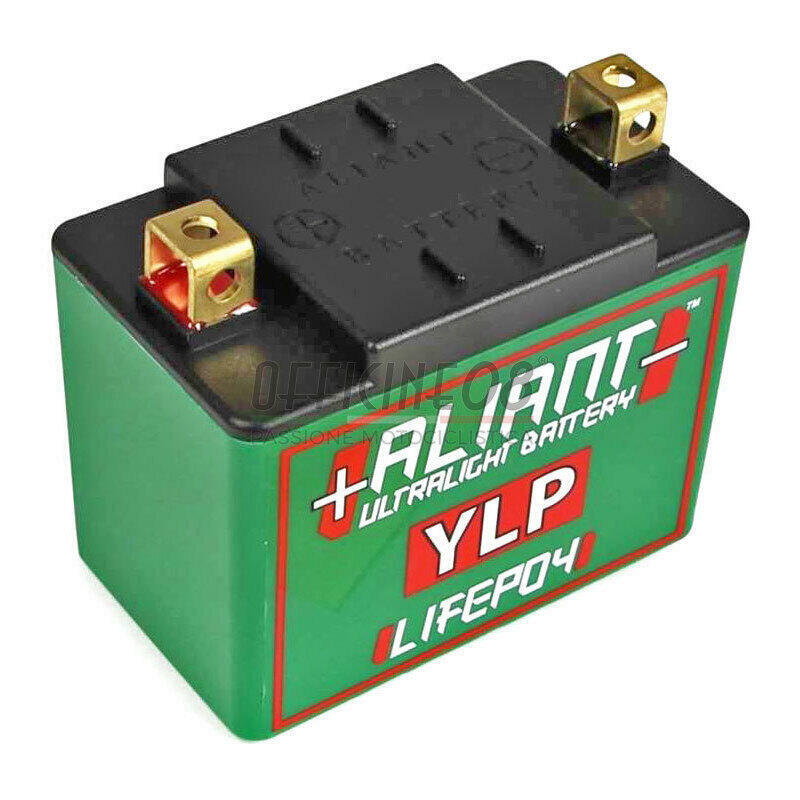 The maximum battery voltage is 14.8V. High voltages may damage the battery and, in the worst case, cause an explosion.